Good Friday is here, and so is the tradition of eating fish on this Friday before Easter. Christians eat fish on Good Friday because they are not supposed to eat meat. 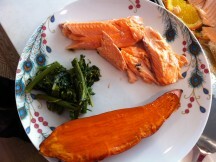 Typically people serve whole fish but any kind of fish dish will do. Whether you are following this tradition or not, we believe that eating sustainably farmed or caught fish is good for you. Here are three fish you could serve on Good Friday. Catfish are sustainably farmed here in the US, they eat low on the food chain, and are typically easy to find at the supermarket in either filets or chunks. Recipe idea: You don’t have to fry catfish for it to be tasty. Why not poach whole filets in a spicy tomato sauce? You could do what I do and just mix your favorite fresh herbs (like thyme), spices and lots of garlic into tomato puree and arrange your filets on top before baking for 10-12 minutes at 400°F or you could follow a recipe like this one. Tilpia are an easy go-to favorite for sustainable seafood. Like catfish, they eat low on the food chain and can even be raised vegetarian. Recently, tilapia from China and Taiwan were added to the Seafood Watch “good alternatives” list, but we still like to stick to US farmed and tilapia coming from South America (like Ecuador) that have stricter standards to promote sustainable aquaculture. Recipe idea: Tilapia are great because they take on the flavor of whatever you are serving them in. Their texture make them ideal for a fun dish like fish tacos, like this one for grilled fish tacos with chipotle-lime dressing that I tried and loved last week. I made this fish recipe “baby-friendly” by omitting the honey, salt and hot pepper sauce. I also made the dressing a little creamier by using whole Greek yoghurt. Delicious! 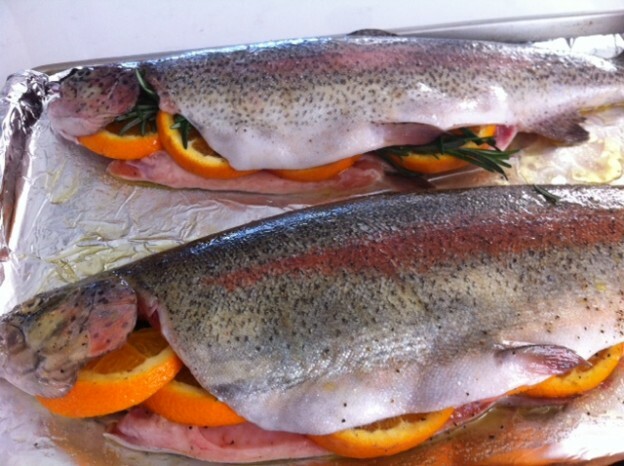 Rainbow trout are a superb fish to serve whole because of their small size that fit perfectly onto a plate. 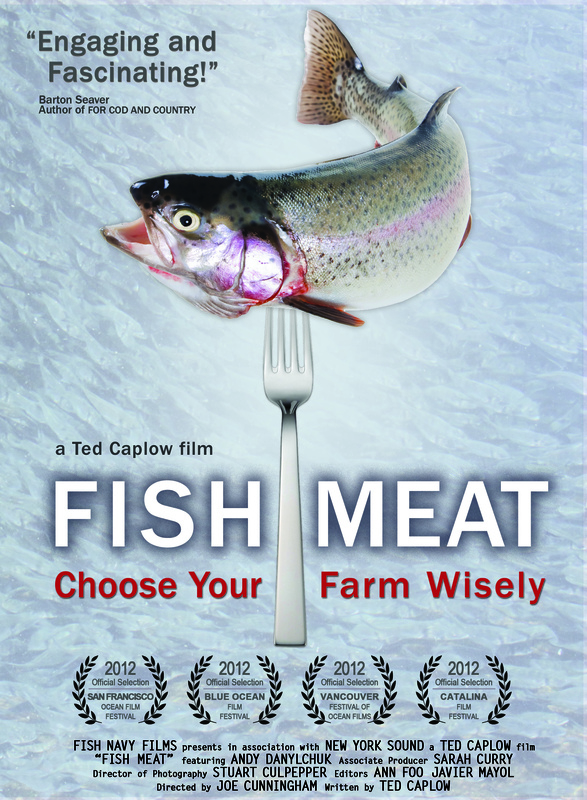 Most of the trout available at US supermarkets is farm-raised. Although they are typically carnivorous, trout have a low feed conversion ratio since they they metabolize their food very efficiently. We have seen recently that some farms can even raise them to be vegetarians! Recipe idea: Cooking whole trout couldn’t be any easier. You just fill the body cavity with fresh herbs and lemon and either grill it or pan fry it. You could also serve it butterflied, as sustainable seafood chef Barton Seaver does in his book For Cod and Country. And for those of you celebrating Passover this week, there is good news: the freshwater fish typically used to make gefilte fish is usually sustainable. Stick to lake whitefish from the Great Lakes (a “best choice” fish), wild-caught yellow pike (a “good alternative”) or freshwater carp (just make sure not to confuse it with its invasive cousin, Asian carp). Photos of McFarland Springs California trout by Sarah Curry.